Point of view of hand that holds a mobile phone with an app to control wireless devices in a smart home like washing machine, security camera, door lock, music player and much more. Concept of IOT (Internet of Things). Today the access control market is evolving from a simple yes/no check gate response system to one that can be integrated to include other services and systems. Smart cards have become synonymous with the access control market, continuing to be used across a variety of end markets including, healthcare, warehousing and storage, education, lodging, and mercantile and office spaces. Smart cards remain the predominant form factor used within the access control market. ABI Research says this will continue into 2022 when shipment will exceed 250 million shipment units. However, market evolution is pushing access control implementers toward technology convergence, exploring and combining RFID, NFC, Bluetooth, biometrics and smart cards, alongside smart devices including mobile and wearables. As such, the next-generation access control opportunity is presenting itself via tie-in and convergence with other technologies and services, most notably within the smart cities and building automation domains, leaning on access control credentials as a means of further automating systems and personalizing experiences. 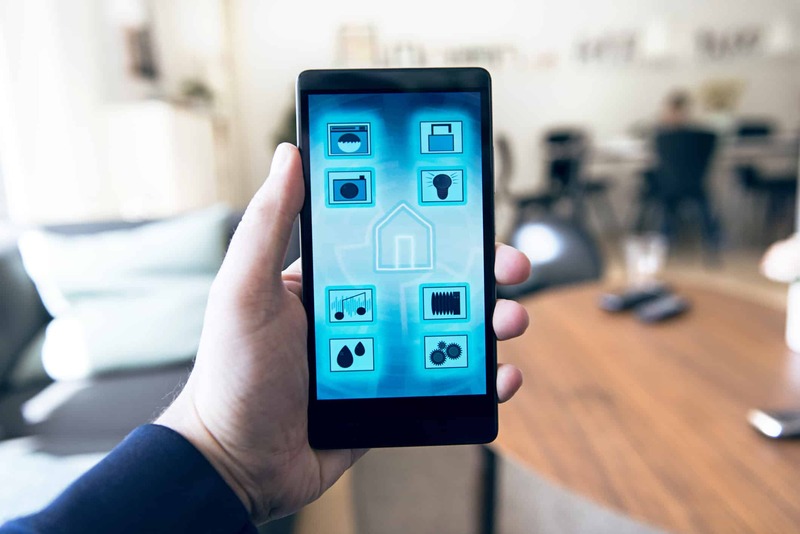 The rise in smart homes and building automation is driving new fields from which access control can penetrate using an access control credential as a central identifier to tie into other services and systems (i.e., Alexa, music devices, shutters, heating, lighting, etc.). In turn, this is presenting a significant diversification opportunity through tailored and individualized preference enablement. “Multiple-application smart cards and BYOD (Bring Your Own Device) solutions will prove to be crucial elements in enabling convergence with other applications including payments or ticketing,” said Jonathan O’Flaherty, Research Analyst at ABI Research. In addition, technology coexistence is driving new innovative and personalized services. “Market convergence is the natural evolution of the smart card market; be it from a payment, transport ticketing, or ID. As such, using an access credential as the enabling identifying anchor point can lead to large-scale multi-application service enablement,” O’Flaherty added. In addition, biometrics continue to gain a considerable position in the access control market, used as a standalone authentication solution or in conjunction with other technologies and devices for MFA purposes. The drive toward personalization is creating further emphasis on secure individualized identities. From smart cards with integrated fingerprint scanners to behavioural scanner access gates the range of technologies is extensive. The continual migration and growth of biometrics will add further value to the smart access control market to enable secure seamless authentication and ease of use. Many companies such as Gemalto, IDEMIA, NEXT Biometrics, Fingerprint Cards and IDEX Biometrics are exploring and expanding the uses and ways to authenticate an individual using biometric information. Access control will develop to show that biometrics can be used widely and securely in more public use cases.